Up coming to boot winxp from http server , now we will take GPXE to boot an iso disc image through http protocol. This time I tried with an Hiren BootCD iso image - a very famous and popular All-in-One BootCD. It takes about less than 30 seconds to load and boot the image using 100Mbps LAN network. If move to Gigabit network, the time will be much better. Traditional PXE booting uses TFTP for loading the image file. The TFTP is simple protocol and based on UDP so it has some dis-advantages as slow speed, not reliable, not WAN capable, maybe blocked by firewall. While GPXE is a modern way to boot from network, it does support loading the image file from http, ftp, iscsi ... which based on TCP protocol. By that way GPXE gains of high speed, reliable and can be used in WAN (internet) network. While alot of people want to run winxp in minimal space environment like usb disk or ram disk, it's a good idea to remove those un-needed components and just leave the most needed components stay. This post will show you how to reduce winxp size with the nLite tool - a very popular tool to slimdown winxp. Winxp is really a good member of windows family. It is maybe the most common version of windows has ever used until now. This post will show you how to put a full winxp on usb disk to use it anywhere. You have a website which uses form-login to authenticate users, so you will need to run https to protect the user credential (username/password) agains of snippers on the internet. This post will show you how to create self signed certificate using with apache and IIS. This post will show you how to bypass IE warning/error message when accessing to a site which using self-signed certificate. You want to authenticate users with client ssl certificates instead of traditional password form (weakness) ?! 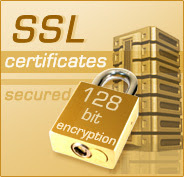 This post will show you how to do that with OpenSSL and Apache/IIS. Understanding off ssl Private | Public Key infrastructure. CA Server : This server will act as a CA provider, it uses openssl-tools to create, sign, ... certificates for the two web servers and clients. Apache Server : This server will serve https service by apache (httpd). IIS Server : This server will serve https service by windows IIS. This post is based on Linux system and did use openssl package for deploying. If you are not familiar with Linux stuff, you can download openssl edition for Windows, it will work as the same on Linux. So, you dont want to type any password every time making ssh to your server but still providing fully securities factors. This post will show you how to do that with Private | Public key authentication. Understanding off Public | Private key infrastructrure. Public key : it looks like the lock, it will stay on the server that you want to ssh to. Private key : it looks like the key, it stays on your pc and you have to make it as secret as possible. No one will see this key except just you. Both keys use a pair of mathematically related cryptographic keys. If one key is used to encrypt information, then only the related key can decrypt that information. As you know nginx is a lightweigh but very powerful http server, and it has a lot of cool features. Suppose that you have an nginx server hosts some files, and you want to track how many people has successfully download and how many has fails or cancel. This post will show you how to do that with nginx post_action directive.